But have you ever thought of ROI in relation to your TIME? Whether you’re just starting your business journey or you already have a team behind you, time tracking is vital to understanding exactly what you spend a majority of your day on. The old saying really is true: time is money. And while the might sound like a cliche, the reality is that when you know what’s eating your time or what efforts carry the most weight, then you know if, what you are doing on a day to day basis, is really the best use of your time. The thing is, where you focus your time needs to be yielding results and paying off in the long-run. So how do you actually figure out your time ROI? Question #1: How are you spending your time? 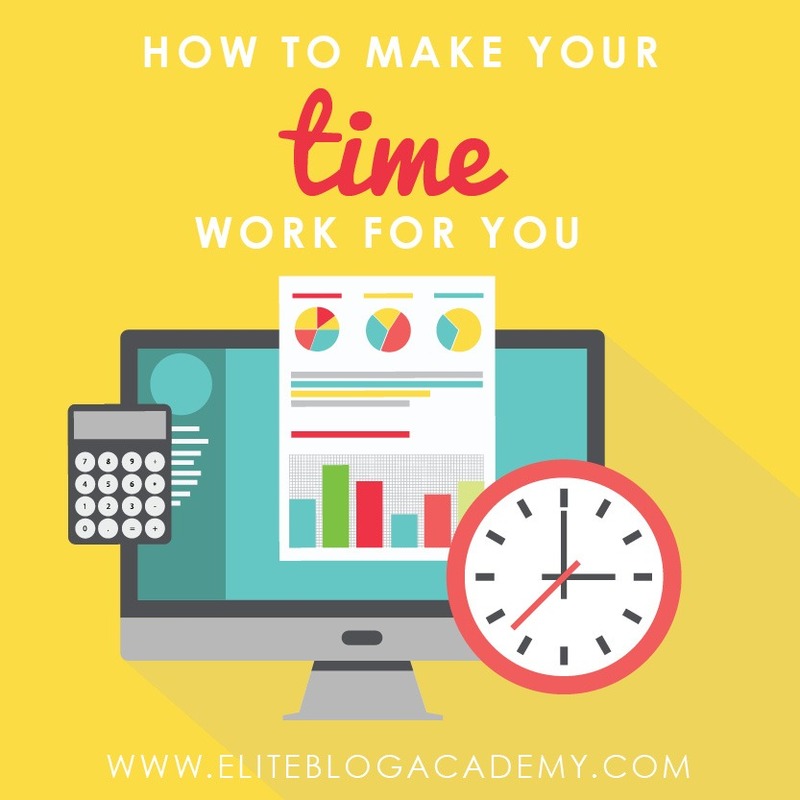 Understanding where and how you’re spending your time is CRUCIAL to figuring out if you’re utilizing your time effectively. We recommend starting with a time tracking app. There are a ton of options, from mobile apps to in-browser apps. We love the app RescueTime because it works on our computers and phones. This free and easy to use app helps you become more productive every day by giving you an accurate picture of how you spend your time. RescueTime runs “securely in the background on your computer and mobile devices. It tracks time spent on applications and websites, giving you an accurate picture of your day.“ So you can see if you’re wasting 10 minutes every hour scrolling aimlessly on social media or if you are stuck writing posts for a majority of your day when you should be focused on building a product. Once you get a clear idea where a majority of your day is spent, then it’s time for question #2. Question #2: Based on where you spent your time, what portion was wasted time? what part of it was enjoyable? What portion was unenjoyable? Now that you can break up your tracked time into measurable chunks, you should have a good idea of how much time you wasted during your “working hours.” Did you spend 90 minutes shopping for shoes? Did you spend 45 minutes checking out what other people were doing? Make it a goal to cut down on this wasted time. Keep timing yourself and make sure that the time you spend doing activities that are not beneficial for your business are kept to a minimum. You will get a good idea after a week or so of tracking what your “time traps” are. Then move on to the time you were working and found enjoyable. What were you doing? How much time was devoted to that task? And the flip side of that would be what did you hate doing? We’re you able to devote your concentrated attention to the task you hated or did you find yourself heading to your time traps as soon as the task became unenjoyable. Whenever we’re doing something that becomes a little hard or uncomfortable, it’s so easy to grab our phones and start aimlessly scrolling through Instagram. And by the time we check, we’ve already wasted 30 minutes procrastinating. Question 3: Would your time have been better used for a different task? Chances are, the task you hate doing is pretty critical to your company, but takes the longest. And if you’re anything like us, it takes the longest because you procrastinate just sitting down and doing it. So we want you to “eat that frog” first thing in the morning. When you wake up, block out time to do your most unenjoyable tasks first. These tasks will get your undivided attention first thing and free up the rest of the day to focus on your more enjoyable tasks. Now the enjoyable tasks, could the time dedicated to those be used more efficiently elsewhere? Did you spend 4 hrs of your day writing posts when you are already 4 months ahead? Could you have been utilizing that time to promote the posts you already have, or use that time to build out awesome new lead magnets? We want you to think critically about your current goals. If you want to start attracting new followers, then you need to make your time flow to tasks that’ll help you do just that. Question 4: Do you need to hire someone to help you take back your time? Now that you’ve asked yourself the hard questions and really identified and got down to the nitty-gritty of your time and habits, you’re well on your way to supercharging your productivity and crushing your blogging goals! Thanks so much for so many great tips on better using your time! I’m sure things like researching and planning out the work that needs to be done and evaluating whether or not you’ve been effective would be things that would also be helpful to consider in a business environment. I bet it would really benefit companies to consider their organizational methods and conduct trainings in order to improve. Thank you for the insightful information!! Organization and time management are my biggest downfalls. I’m not sure I want to know how much time I waste but I will do it. It will be a true wake up call. Thank you again! !